Hello, I'm Greg and I own a 1988 Stinger 312. It's powered by two HP500's and has bravo one drives. What is your top speed ? Well the last top speed run I made against a guy with a GPS said 74 mph. I didn't think that was too bad for such a heavy old boat. I have a few pics at my home computer, Ill post them up. 74 is good speed. I get my 312 65mph in gps, with two 454 approx 375hp each. 56mph for 415 its not bad, 415 is one heavy runner..
send pics your 312 and also your new 415. Here is my 312. It will be for sale soon. This is the 415 I just purchased. 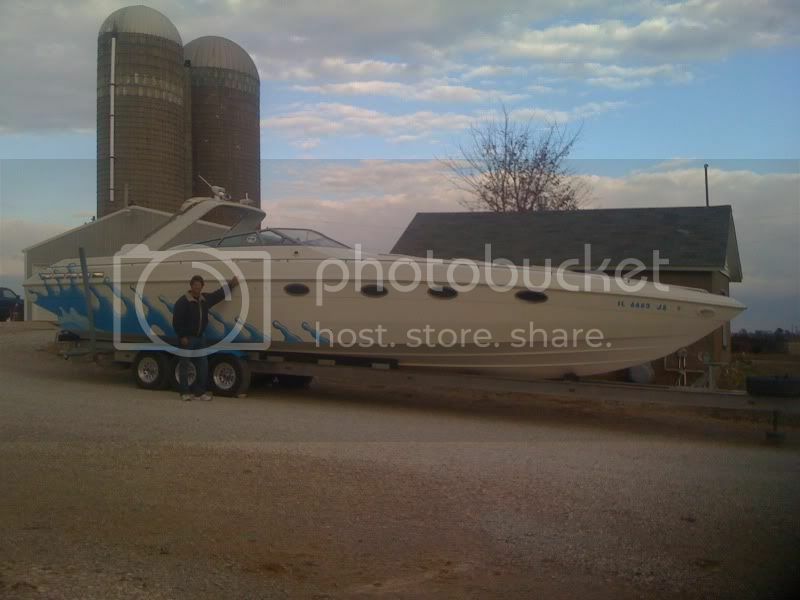 It is in very good shape, and I can't wait to get it on the water. Really cool both ones ! Have you more pics your 312, especially interior and cockpit ? We have big interior/cockpit project in this winter / next spring. completely new interior with separately toilet room. That 415 is really big/awesome boat !! That 415 is pretty sweet. I have seen it around on several poker runs. 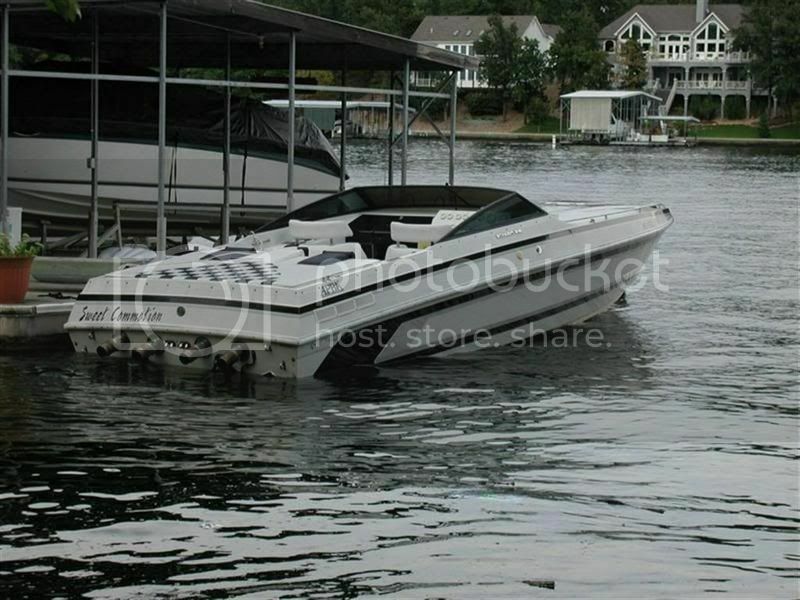 Are you at Lake of the Ozarks? Yes, the previous owner took very good care of the 415. I am at Lake Lewisville, but plan to trailer around a little next summer, maybe to Lake Travis and Lake Texoma. Hope to see some pics of your boat as 312's are rather a rare boat. I only know of one personally in my area.